In gutter installation, two of the most effective and tested gutter types are K-style and half-round gutters. But which should you choose? Advantage Seamless Gutters discusses them in this article. U.S. homes are dominated by K-style gutters. But what makes them special? First off, they resemble that colonial-style crown molding that complements almost every contemporary home. While half-round ones boast that beautiful semi-circle curve, the flat sides of K-style gutters make it less of a hassle to install. If you opt for seamless K-style gutters for your roof, you don’t have to worry about possible leakage as much as ones with seams. You can still go for seamed ones, as long as you make sure that those are properly sealed or stuck down. With varying sizes and length options (can either be whole or pre-cut), you’ll love the benefits and adaptability of K-style gutters. Meanwhile, half round gutters, known for their “U” shape are more suited towards homes with rounded roof lines. Their applicability on most home designs is limited compared to K-style, but may be largely appreciated by homeowners looking for that old-style guise and façade. In terms of design simplicity, half-round gutters are just more complicated largely because of their semi-circle corners. This translates to larger installation costs, not to mention the special rods and brackets they require to be stable. The hat needs to be tipped to K-style gutters on this one. Their design allows more resilience to endure the weight of fallen debris. It’s a toss-up depending on your home type. If you own a newer, more up-to-date home, K-style gutters can help beautify and aid your roof. Now if you value the aesthetics of a traditional home, half-round gutters are the optimal choice. Most installers of seamless gutters know that a half-round gutter’s flow capacity is double a K-style gutter of the same width. Because of its better durability and larger flow capacity, it’s quite understandable that after installation, K-style gutters will require less attention from you than half-round. Overall, K-style gutters have a more effective design and edges out the former in key criteria. But only with the right installer. 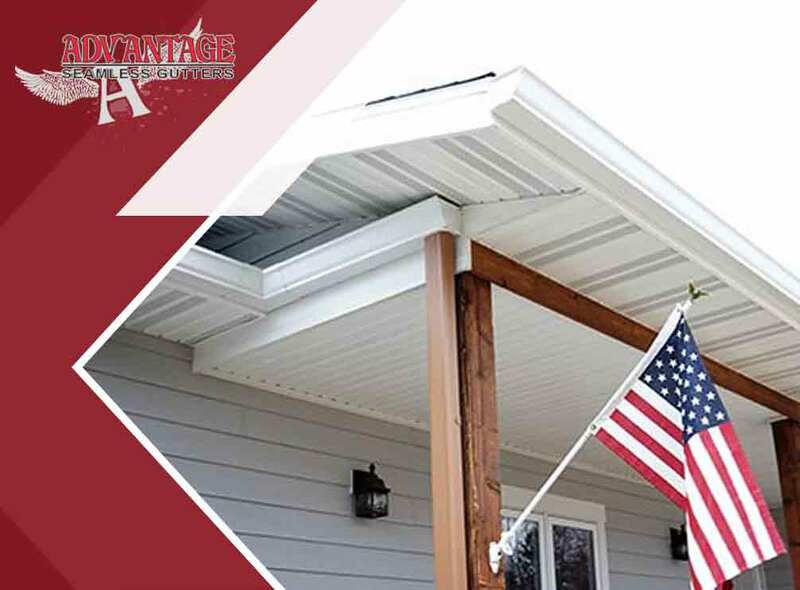 At Advantage Seamless Gutters, we value our clients’ needs and tastes – that’s why we offer both top of the line K-style (5in or 6in) and half-round seamless gutter installation services. Impeccable designs and customization are also part of our brand. Give us a call today at (320) 460-1338 to experience gutter workmanship of the highest quality. We serve clients in Alexandria and Bemidji, MN.